Michelle wants to help you advance your mission through story and strategy. Learn more about hiring her to edit your book, write content for your website, or assist with your social media. Whether it's a seminar on decorating or biblical teaching, Michelle connects with audiences on all levels. She blends practical advice, humor and a personal connection with each audience. Discover the repurposed and upcycled life. Michelle will help you see how some of your greatest disappointments, mistakes, and hurts can be beautiful treasures. If you haven’t washed your hair since Tuesday and dry shampoo is your best friend, you might find a connection here. If your couch is covered in several loads of laundry and you can’t find two socks that match, and if there are petrified French fries in your back seat, I think we could be best friends. It’s a little easier now that my children have left the nest, but there was a time when my minivan had dried up milk under the carseats, and my living room floor was a minefield of Lego pieces. Right now, there is dust on my television screen and 100 messages in my inbox, but I’m happy to kick back with an iced latte and a good book, rather than work on either of those problems. And I would much rather be chalk-painting a yard-sale dresser than scrubbing my kitchen floor! I hope you’ll connect here and tell your friends to stop by too. Together we can life life, repurposed! Do you ever wonder if there is some plan for how your work, relationships, hobbies, dreams, and faith all fit together? Sometimes it can be hard to figure out the big picture––some sense of meaning and purpose for it all. 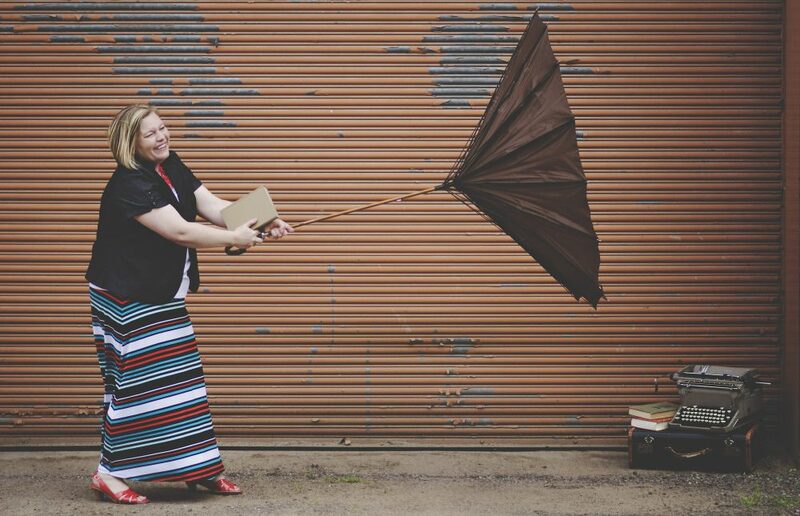 Michelle Rayburn has a passion for helping people make connections between faith, creativity, and everyday life to discover the incredible plan that God has for their lives. Whether writing or speaking for the inspirational market or the general market, she brings a message of hope and encouragement, and heartfelt empathy for her audience. In the professional world and in her personal life, she’s committed to conducting all activity with integrity and a heart to serve. This cyberspace thing is great, but meeting you in person would be even better! Michelle would love to come speak for your event. More than anything else, she enjoys ministering to women, and it’s pretty easy to fit laughter and merriment into a carry-on bag. In fact, she doesn’t even need a bag; she travels with it in her heart. Whether it's a women's retreat, a writer's event or a corporate meeting that needs some lighthearted inspiration, Michelle will be sure to include laughter along with the practical teaching she brings.